The dog days of summer are upon us and, with that, August is getting close to its end, an indicator summer, too, is coming to an end for another year. I enjoy fall for many reasons, and it is probably my favorite of the four seasons we have each year. What makes it special for me is the cooler, sunny days, Indian summer, fall colors, harvest is underway, and let’s not forget football. I realize fall does not officially come until Sept. 22 this year, but we need to be prepared when it comes to managing such crops as our pasture and hay fields. Ted Wiseman, OSU Extension Educator ANR, Perry County has some really good advice for managing pasture acres going into this fall. (Taken from the OSU Sheep and Goat Newsletter, previously published in Farm and Dairy, Aug. 9, 2018). First of all, it is important to understand fall pasture management is a critical period for pastures for all species of livestock we have grazing in the fields. This year we have had adequate rainfall and pastures have done well to this point. Wiseman suggests as we transition into late summer and early fall it is critical to pay close attention to your forages. Some pastures may be stockpiled (to be fed later in the season), but those intended to be grazed this fall still need time to rest. It’s very tempting to use those forages that green up late in the fall. Management decisions made this fall will greatly impact forage growth next year. Wiseman suggests that during the fall, forages are doing a couple of things, such as root regeneration and forming new shoots or growing points. We only see the growing leaves of the plants; one must consider the other half of the plant which is below ground. During the growing season, the leaves are feeding the entire plant. If we remove too much of the leaves we are reducing the plant’s ability to produce carbohydrates through photosynthesis. These carbohydrates are stored, for the most part, in the crown of the plants compared to the roots. During times of drought, plants will shed roots. Shorter roots reduce the ability to take in moisture and nutrients. Even with fertilizer applications shooter roots are less productive. Overgrazing results in shorter leaves reducing the plant’s rate of carbohydrate production. Carbohydrates are stored in the crown of the plants which is generally in the lower 3 to 4 inches of the plant for most cool-season pastures. This is why recommendations are to leave stubble heights no lower than 4 to 6 inches, either from grazing or by mowing. In the fall these crown tillers are brown or dormant often thought to be dead. These crowns not only provide nutrients for the new growth but provide physical protection from extreme weather conditions. Wiseman reminds us that early fall is an ideal time to take soil samples. Based upon the results you can apply the recommended rates of lime or fertilizer. Nitrogen application in the fall along with adequate moisture will increase pasture growth. Generally, no more than 40 to 50 pounds of nitrogen should be applied. Typically in our area, fertilizer applications should be made no later than the first of October. High nitrogen applications will keep the plants from starting the overwintering process. Too much nitrogen too late could result in winter damage due to the excessive growth reducing sugar concentrations in the stubble. Proline is what protects plant cells from winter damage or death. If not enough time is allowed or too much nitrogen is applied the plant does not have enough time for this process to occur. Scouting pastures this time of year and giving plants enough time to store carbohydrates in the fall is critical for long-term productivity. His final words of wisdom is don’t be greedy and keep an eye on stubble height and use those soil test results to make economic decisions to make your pastures productive for many years. 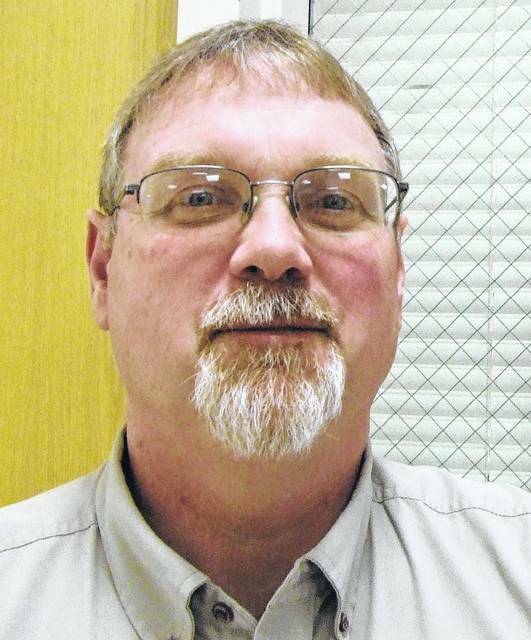 Tony Nye is the state coordinator for the Ohio State University Extension Small Farm Program and has been an OSU Extension Educator for agriculture and natural resources for 30 years, currently serving Clinton County and the Miami Valley EERA.